Hydra-Cell metering pumps meet and in most cases exceed API 675 performance standards. Combine simple, elegant engineering with rugged construction to offer greater versatility while lowering overall costs. 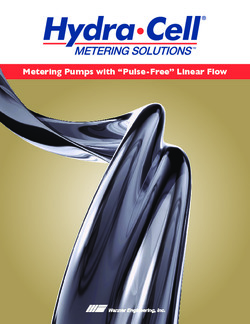 Accurate Metering and Dosing with Virtually Pulse-less Flow. * Ratings are for X-cam design. ** 350 psi (24 bar) maximum with PVDF liquid end; 250 psi (17 bar) maximum with Polypropylene liquid end. *** Consult factory for correct component selection for temperatures from 160 ̊F (71 ̊C) to 250 ̊F (121 ̊C). 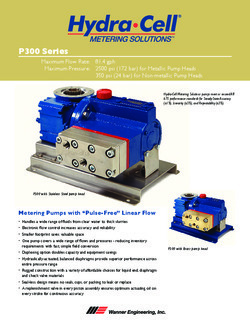 Compact, cost-effective pump systems for high-performance metering applications. The technology used to produce metering pumps has barely changed in over a generation. 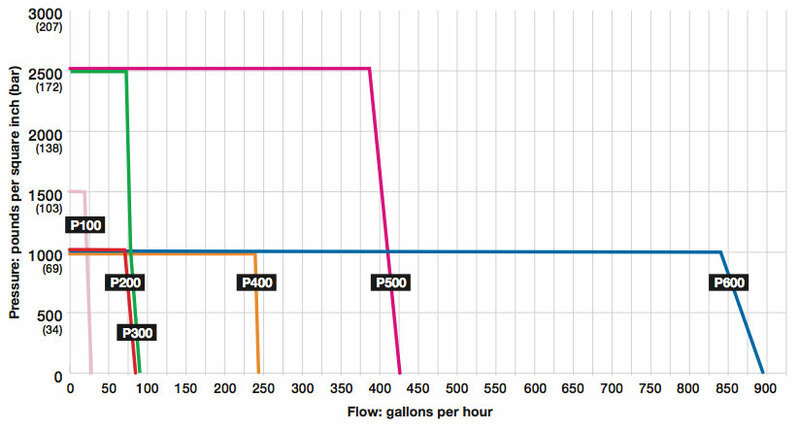 As a result, conventional metering pumps have operational limitations 30-Day and greater cost consequences. Shelf-Life! 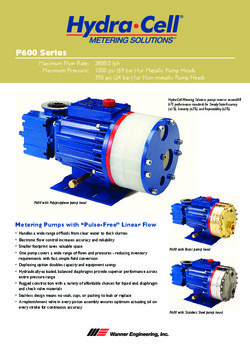 Hydra-Cell is not a conventional metering pump. Hydra-Cell Metering Solutions pumps enable you to meet and, in most cases, exceed API 675 performance standards with virtually pulse-less, linear flow while providing many other operational benefits. 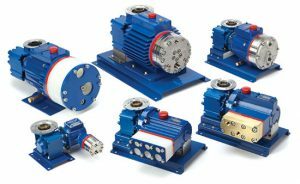 Taking advantage of the most current technologies, Hydra- Cell P Series metering pumps achieve superior levels of accuracy, repeatability and linearity, while delivering precise, constant flow. This revolution in metering employs the latest available means of electronic flow control to replace antiquated, inaccurate stroke adjusters. 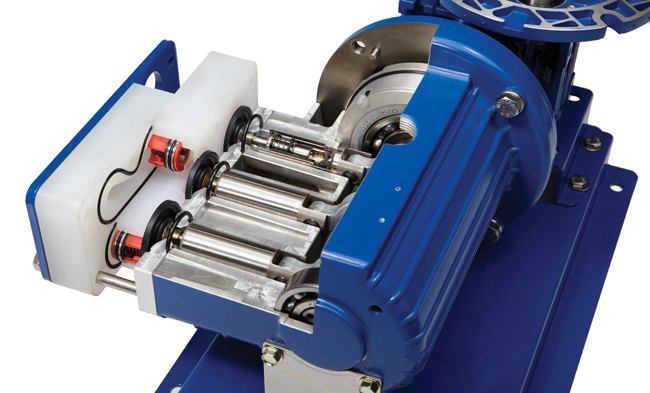 To maintain accuracy in a hydraulically-actuated metering pump, the volume of oil on the non-process side of the diaphragm must remain constant. 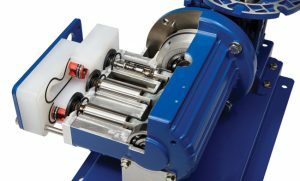 To maintain accuracy in a hydraulically-actuated metering pump, the volume of oil on the non-process side of the diaphragm must remain constant. 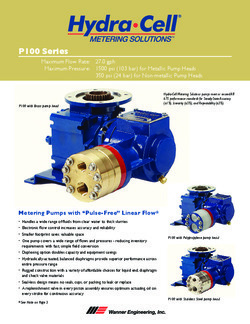 Conventional metering pumps rely on vacuum sensing or mechanical activation to compensate for leakage past the plunger. They may not compensate on every pump stroke. Hydra-Cell pumps incorporate a replenishment valve in every piston assembly. This ensures optimum actuating oil volume on every diaphragm stroke to provide superior accuracy that exceeds the performance demands of API 675. Hydra-Cell pumps incorporate a replenishment valve in every piston assembly. This ensures optimum actuating oil volume on every diaphragm stroke to provide superior accuracy that exceeds the performance demands of API 675. In addition, the modern design features of the Hydra-Cell pump lower your acquisition costs when compared to conventional metering pumps, and its inherently simple yet elegant engineering keeps your maintenance and replacement costs down. 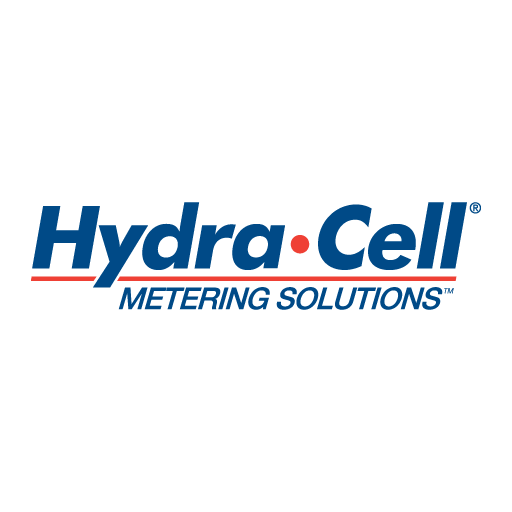 Rugged construction and long- lasting durability will provide economy and value over the lifetime of your Hydra-Cell metering system. Used in place of conventional metering pumps to provide Honorable Mention superior performance at a lower cost, Hydra-Cell is an extraordinary metering pump built to handle your precise metering and dosing applications. Unlike metering pumps that use manual stroke adjusters, Hydra-Cell P Series metering pumps use Variable Frequency Drive (VFD) electronic flow adjustment to maintain greater accuracy over the entire turndown range. This reduces the possibility of operator error, pumping inaccuracies, lost motion, and chance of leakage. Hydra-Cell metering pumps combine simple, elegant engineering with rugged construction to offer greater versatility while lowering overall costs. 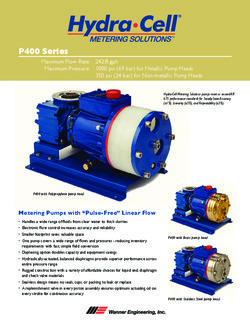 Some metering pump manufacturers offer only PTFE diaphragms, which require more frequent and costly replacement due to stress and low processing temperatures. Hydra-Cell metering pumps can be equipped with a variety of diaphragm materials (FKM, Buna-N, EPDM, Neoprene,Aflas, and PTFE).This enables Hydra-Cell metering pumps to operate over a wider range of processing applications. In addition, several Hydra-Cell metering pump packages are available with special materials such as Hastelloy C and PVDF. 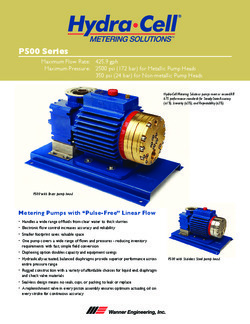 Other metering pumps apply substantial price adders for exotic liquid end materials. 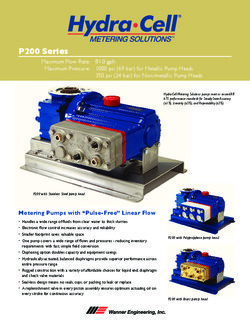 Pulsing, surging flow from traditional metering pumps can produce greater strain on the system and more wear and tear on the pump. Hydra-Cell features a multiple-diaphragm design (except model P100) that practically eliminates pulsations. Compared to conventional metering pumps operating under the same conditions at the same flow and pressure, Hydra-Cell metering pumps provide smooth, almost pulse-less performance. This allows for the design of a safer, less expensive metering pump system and for use in more accurate applications, such as spraying which cannot tolerate pulsing flow. The multiple-diaphragm design of Hydra-Cell metering pumps provides virtually pulse-less, linear flow without the need for expensive pulsation dampeners. The IChemE Awards recognize innovation and excellence in making outstanding contributions to safety, the environment, and sustainable development in the chemical and bioprocess industries.